With all the advanced technologies this television has, it ensures that it’s ready for the future of television broadcasting. Advanced image processing technology delivers a crystal clear picture on the 1366 x 768 resolution display. 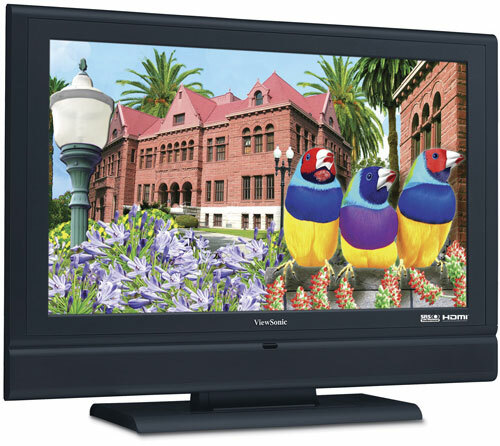 The screen size is 37 inches , which is a sure size to please your guests. The screen operates on high brightness and contrast levels, to give you that sleek richer image your looking for. There is a HDMI interface that gives you even better uncompressed digital video and audio quality. There is also a cool panel which lets you watch high speed images, while giving it a fast response time. audio features include Virtual Surround sound and a Headphone Jack. Your surround sound comes from two 10 watt speakers. This means you don’t need a huge theater system to get the sound quality that your looking for. Technical features include the Picture in Picture and Sleep Timer. The accessories that would be included are Remote Control Batteries, AV (RCA) Cable and SCART Cable. From a Gadget Addicts perspective, this TV is very affordable for the quality TV your getting. Just make sure you don’t purchase the television refurbished, which seems to be a very popular mistake with this TV. As long as you don’t do that, you’ll still come out with a awesome television for a great price.